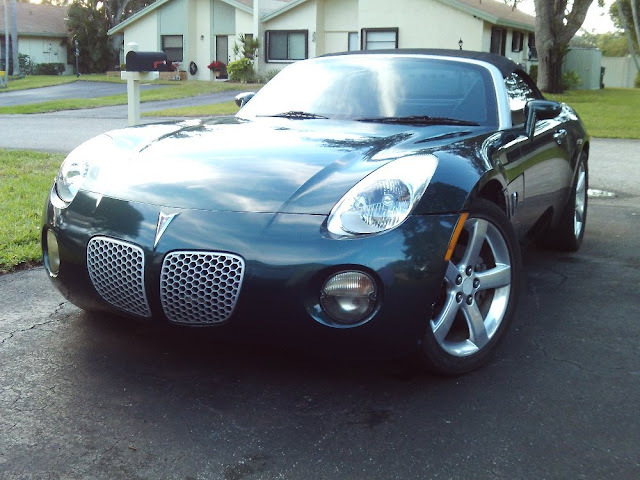 The Skystice (Pontiac Solstice and Saturn Sky) was Detroit's answer to the super successful Mazda MX-5 Miata. 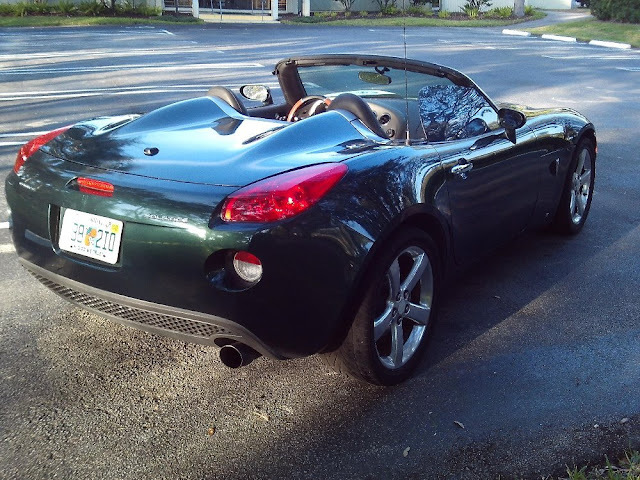 Typical GM feature bloat meant the Solstice/Sky wasn't as lean a fighting machine as the MX-5, but the podium in SCCA club racing in T2 class for 2007, 2008, & 2009 gives it a certain degree of street cred. The turbo GXP model is the one to get if you want something with some turbo power, but the basic model has decent grunt from the 177 horsepower 2.4 liter Ecotec 4-banger and they are cheap, cheap, cheap! Find this 2006 Pontiac Solstice offered for $4,750 in Delray Beach, FL via autotrader. Tip from James. Where's first gear? Whats that other pedal to the left of the brake? Oh you want my money fist? Oh sure. Here. Hmm...so for $25K ($4.75K for the car and $21.2K for the 400 HP (360 @RW) conversion, you get a screaming little coupe that is 200 lb lighter than a Corvette? You could buy a brand new Miata. I think it's really interesting that these haven't been spared from the typical of levels GM depreciation. I searched CL a bit and that's about the going rate for a nice impala from that era as well. I prefer "Solsky" to "Skystice". It makes it sound Eastern European. You know, the region where all the best cars are made. "I drive Solsky. Eees good car, comrade." The turismo powers should make mention of the opel gt branded version with a slight restyle and rebadge. worth a look.